This year, Moccamus was held on Saturday, October 13th. A beautiful morning. Moccamus falls on the second weekend of October. It is a holiday my husband and I created three years ago. The traditions on Moccamus as follows: 1) You must wear Moccasins for the day, or at least at some point in the day. 2) It’s a time to be with family and friends. 3) You must do something educational. 4) You can exchange gifts if you like (but you don’t have to). Usually my husband and I exchange a gift for Moccamus and then write each other letters for Christmas. We created the holiday, because to be frank my husband and I felt Christmas was steering away from true holiday spirit in becoming more commercialized. The name Moccamus did not originate to “mock” Christmas. We feel that Christmas is a fine holiday. The name merely came from the idea that during Moccamus you must wear moccasins. Here is McKinley on Grandpa’s shoulders sporting her adorable moccasins grandma bought her from Northern Ontario last year (while I was pregnant). 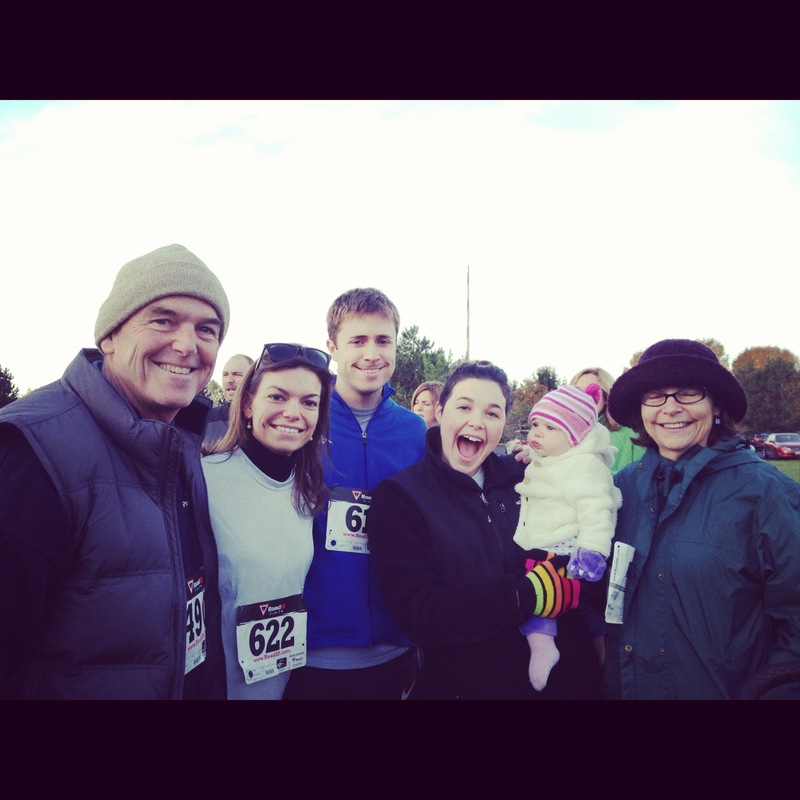 For our educational experience we participated in a 5K Dyslexia Dash. 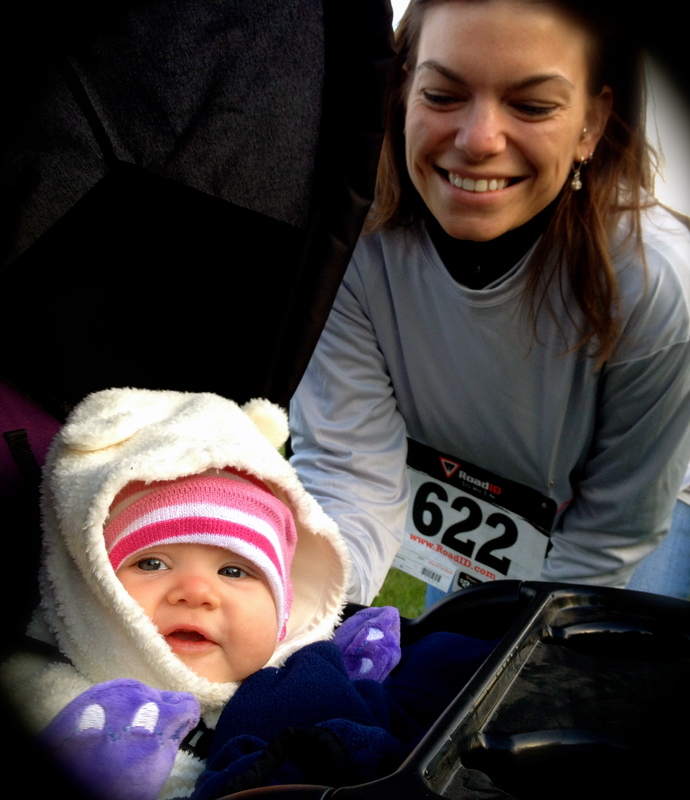 McKinley’s first 5K! It was quite the brisk morning, but she was bundled and ready! 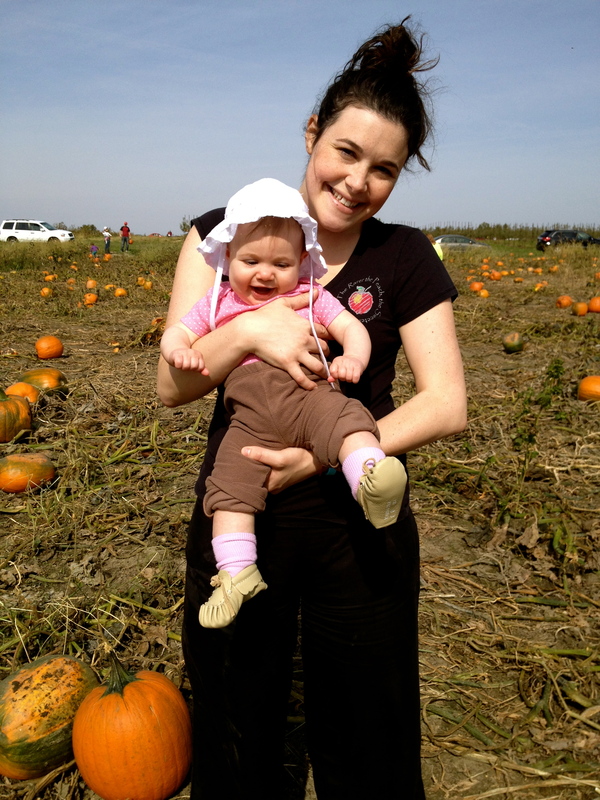 Last year for Moccamus, Jordan and I went to Lynd’s Fruit Farm. We enjoyed our adventure, so we decided to go again. Picking apples this year was a bit more challenging, because the apples were scarce, but thankfully we still managed to fill our bags! 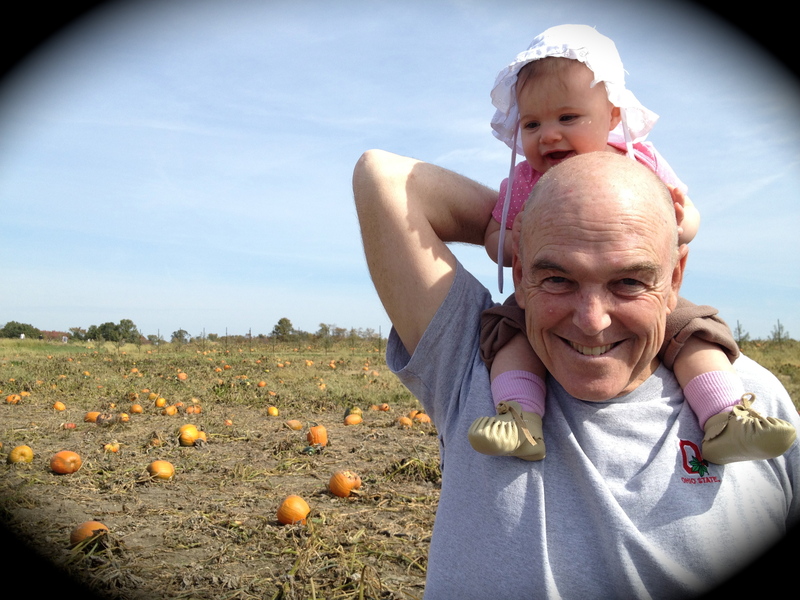 We also went to the pumpkin patch. (Pumpkin carving contest to follow). 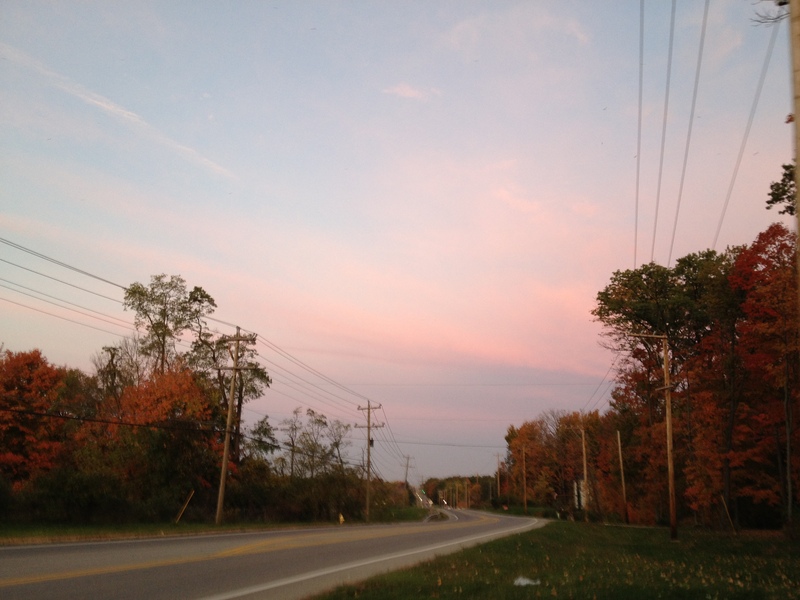 Previous Post Pretty-Fall Day & The New Year! What a great holiday we all had !! Thank you for participating!! We had a great time! 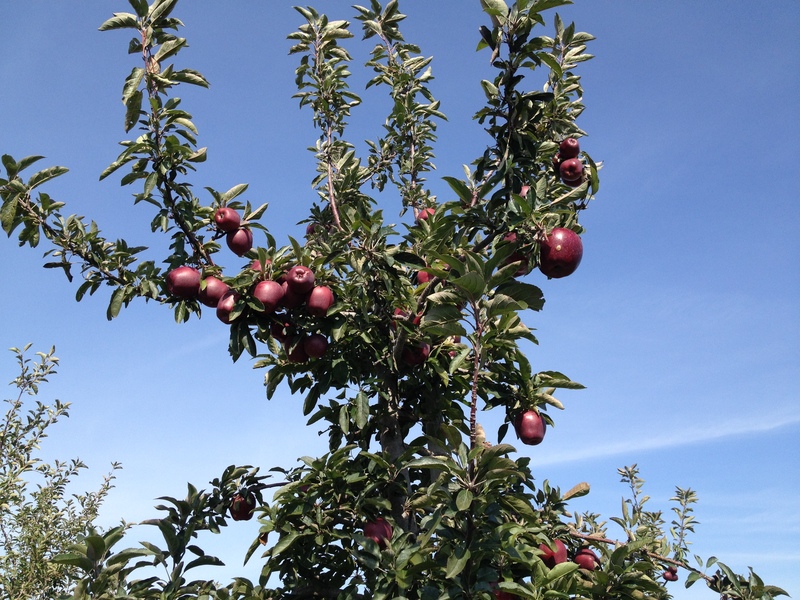 We all ate delicious apples in the orchard and McKinley started apples the next day. The small ones were jam packed with flavor. thanks Johnny Appleseed!